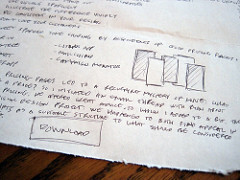 When people create project plans, requirements, and other documents they often use a template. A template makes things easy. The author can fill in the project name, the date, who they are, the stakeholders, the technical team, the dependencies and the risks. At some point the author has to fill out the big box in the middle about what to actually do, but it’s easy enough to put in some fluff and click save. It’s even easier with tracking tools like Jira, LeanKit, or Pivotal tracker. No writing skills required. Except we all know they are required. Describing what to build or how to build it, and communicating in a way that the other party actually gets is a skill. It can be done better or worse. Verbal communications is a skill, too, but that’s a different post. Today I’d like to write about writing, with a few quick wins to develop writing skills. The biggest problem with the template approach is what most people tout as a strength: It makes things easy. The author feels like they know where to start. I prefer a blank piece of paper. This will make some people very uncomfortable. They don’t know where to start. It means they’ve become aware of their own lack. Instead of furiously filling in boxes, they need to go figure out what to do. If you want to improve your writing skills or want to challenge that business analyst sitting next to you, take out a blank sheet of paper and ask them to describe the next big chunk. You can both do it and compare notes — the areas where you disagree are the places the bugs will be found. You’ll notice the advice above really doesn’t say much. It could be that the author didn’t know what to write; more often these words are just the warmup. That’s okay, but once the piece is solid, take four hour off, then go back in and remove the “warmup”, fluff material that doesn’t add value. Your reader’s time is limited. Cover the most you can, in the least time. Eliminate Passive Voice, Third Person, And Big Words. This is passive voice. The true subject of the sentence, the people that will develop the software, are left off. It can be appropriate in certain environments, like lab experiments, where the person doing the experiment is not known in advance. For software work, though, put the true subject center stage. Likewise, when “use” will do, don’t write “utilize.” Avoid latin-rooted words that end in -ion (communication, distribution, qualification) and made-up words that were created by adding “-ize” to the end of a real work – for example, “productionalize”, which is an -ion word that has -ize added the end. Replace “leverage” with “take advantage of.” A lever is a simple machine that converts a little power over a broad area into a lot of power over a small area. Most of the time, when people write “leverage”, they mean “take advantage of”, only they want to sound smart. Some people who use big words are smart. Much more often in the business the people who use big words are trying to sound smart, or have something to hide. “We need to improve our communication” is vague. Who needs to improve – me or you? And is the communication improvement about writing skills, or verbal skills, or receiving feedback, giving it, responding to it? We don’t know. “You need to improve your writing skills” is much more specific. 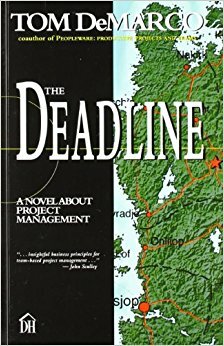 In his book The Deadline: A Novel About Project Management, Tom DeMarco claims that a vague specification is a hint that the authors did not agree and deferred the decision. This manager wants the software to use a mouse, another thinks it should be a touch-screen, so the haggard business analyst writes “Input Device” and moves on. Take a real assignment for work – email, document, doesn’t matter. Write it three times in different styles and compare the versions. If you can, get a friend to review and tell you which one is better – and why. I’ll do more on writing practice in a different post, along with other tips to improve. Today’s advice was on quick wins you can start with right now. Sometimes the audience expects big words, passive voice, and third person. If that’s the case, you can use it – it’s easy. Just don’t expect the audience to connect to your writing in an emotional, or even meaningful way. Likewise, once you reach a level where you can handle the blank sheet, templates can have some value. For example, an executive with two dozen projects might want to see summaries of each project in a similar format for comparison purposes. That’s fine — if the authors have the basic writing skills in the first place. The great irony of the project template is that is only helpful when you don’t need it. Matt, you are my hero! Would love to work directly with you some time soon!